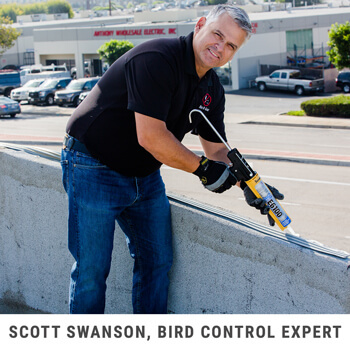 Ask a Professional Bird Control Expert | Bird B Gone, Inc.
Bird B Gone offers a wide range of innovative bird control products and is interested in helping you find the right products to solve your pest bird problem. For assistance, complete the form below or call our Bird Control Experts at 800-392-6915 or 949-472-3122 Monday-Friday 6AM thru 5PM Pacific Time. We look forward to assisting you. If you call or email while we are closed, we will return your inquiry the following business day.